Bring this Safavieh Adirondack area rug into your dining room for an easy splash of style. Decor does not have to be hard with this plush polypropylene indoor rug. This rug is machine-made, which ensures a strong product. Quality and style come first with this vintage/distressed patterned silver rug. Adirondack Brian Silver / Black 6 ft. x 9 ft. Indoor Area Rug Bring this Safavieh Adirondack area rug into your dining room for an easy splash of style. Decor does not have to be hard with this plush polypropylene indoor rug. This rug is machine-made, which ensures a strong product. 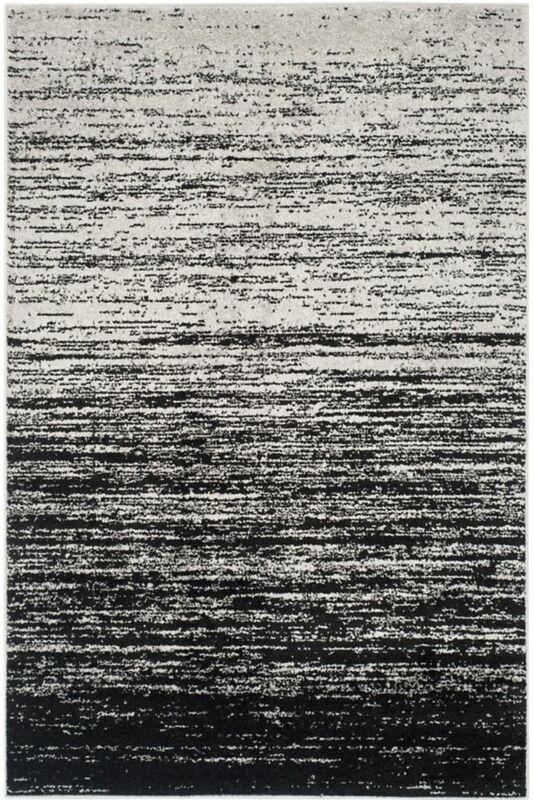 Quality and style come first with this vintage/distressed patterned silver rug.